The Ford Foundation was, for much of its history, the largest foundation in the United States, though it has been passed in recent years. As of December 2014, it possessed assets of $12.5 billion. The foundation has been a major force in American culture and, because of its size, has given a great deal of money to left-wing and center-left organizations since its founding. 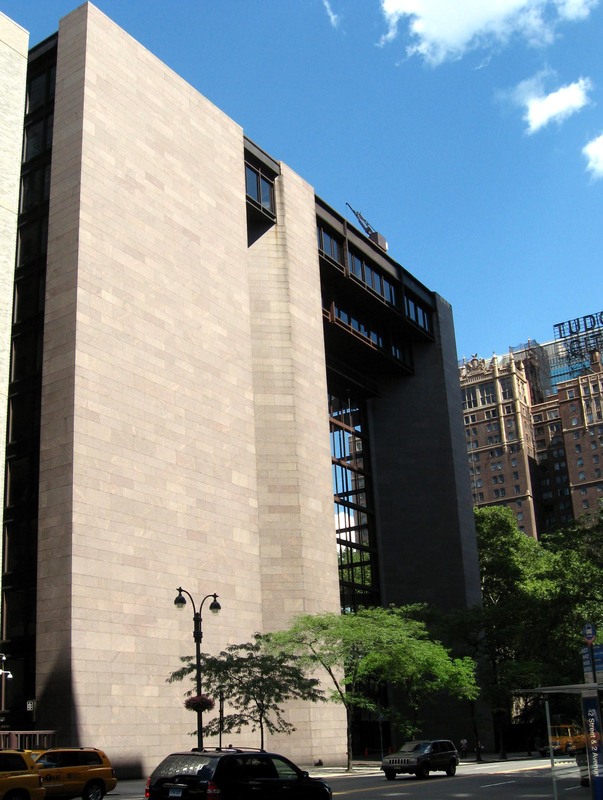 In 2016, the Ford Foundation announced that it was undergoing a dramatic reorganization. It announced that its grantmaking would be in seven areas: civic engagement and government, free expression and creativity, equitable development, gender, racial, and ethnic justice, inclusive economies, Internet freedom, and youth opportunity and learning. The Ford Foundation was created to preserve family control of Ford Motor. The car company’s shares were divided into two classes: non-voting Class A stock, which amounted to 95 percent of all stock, and voting Class B stock, which accounted for the remaining five percent. The Class A stock would be willed to the Ford Foundation, while the Class B stock would be retained by the Ford family to ensure family control of Ford Motor Company. The foundation stayed small until after Henry Ford’s death in 1947, after which, by the term of Ford’s will, the foundation was endowed with hundreds of millions in Ford stock. The Ford Foundation became more activist beginning in the late 1950s. The trend accelerated during the tenure of former Kennedy and Johnson administration National Security Advisor McGeorge Bundy, who served as Ford Foundation president between 1966 and 1979. Seeking to reduce poverty in what Ford Foundation program officer and future Johnson administration official Paul Ylvisaker called the “gray area” between central business district and suburb, the Ford Foundation funded inner city poverty-fighting programs from 1960 onwards. A review of Gray Areas programs by Peter Marria and Martin Rein commissioned by Ford and published in 1973 found that most were modestly successful, although Ford’s programs in Philadelphia never got off the ground and the ones in New York directly subsidized militancy against landlords and other businesses. The program’s lasting result, however, was in inspiring the Johnson administration’s War On Poverty, with Ford Foundation program officers frequently consulting with Johnson administration planners on programs that could be devised. In Maximum Feasible Misunderstanding, the late U.S. Senator Daniel Patrick Moynihan (D-N.Y.) credits the Gray Areas program with being the intellectual inspiration for the Job Corps, Head Start, and Volunteers in Service to America (now part of AmeriCorps). Ford frequently collaborated with the Rockefeller Foundation, both in funding population-control programs and in lobbying for more money on population control after these programs were taken over by national and international agencies from 1965 onwards. The best estimates are that Ford spent $150 million on birth control programs between 1958-1983, with funding peaking at $25 million in 1969. Ford money created the “public interest” law movement, with tens of millions going to organizations supporting minorities (such as the Mexican American Legal Defense and Education Fund or MALDEF) as well as environmental legal groups such as the Environmental Defense Fund and Earthjustice. Cato Institute fellow Walter Olson refers to Ford as “the Johnny Appleseed of litigation liberalism” and notes that funding activist lawyers has been a key theme of Ford’s grantmaking for decades. Ford grants in 1967-68 of $334,000 encouraged the Ocean Hill-Brownsville school district in New York City and two other districts to implement “community control,” where parents in the district were given more power over local schools. Unfortunately, the mostly African-American parents in Ocean Hill-Brownsville wanted the power to fire members of the United Federation of Teachers, who were mostly white. Every time the parents’ council tried to “fire” teachers, the teachers struck, the third time for five weeks. Ultimately, in November 1968, Mayor John Lindsay (R, later D) abolished the parental councils. But the result was that UFT president Albert Shanker, who became president of the American Federation of Teachers, was an implacable foe of school choice for the next 30 years. The Tax Reform Act of 1969 ultimately imposed a payout requirement on foundations and some restrictions on foundation support of political activity. Responding to the changes, the Ford Foundation shifted from funding large-scale welfare reform programs to smaller ones. It was a leading advocate of “individual development accounts,” which encourage low-income households to save by matching funds saved by families below a given income threshold. Ford intended to use this program as a pilot scheme for a universal, government-funded child allowance. As conservative organizations began to win victories restricting the application of affirmative action programs, the Ford Foundation invested heavily in efforts to defend them. Among its grantees were the Regents of the University of Michigan, the Mexican American Legal Defense Education Fund, and the NAACP Legal and Defense Fund. These grantees used Ford funds (including some grants of over $5 million) to successfully block efforts to check the growth of affirmative action in Michigan and other states, hold many conferences where activists could network with each other, and conduct campaigns against nominees of the George W. Bush administration to district and circuit courts. One Ford-opposed nominee was William H. Pryor Jr., widely reported to be one of President Donald Trump’s finalists for the Supreme Court vacancy ultimately filled by Justice Neil Gorsuch. Internationally, the Ford Foundation’s largest effort at the turn of the century was the International Fellowships Program, which received $420 million in Ford Foundation money between 2001 and 2013, when it ceased operations. The Ford Foundation continued its grants to abortion rights groups, with substantial grants given in the 2000-04 period to Catholics for a Free Choice (now Catholics for Choice), the International Planned Parenthood Federation, and the International Women’s Health Coalition. In 2007, Luis A. Ubinas became Ford Foundation president. Ubinas, formerly a consultant with McKinsey and Company, was best known for offering buyouts to 30 percent of the foundation’s staff after the foundation’s endowment plunged from $12 billion in 2007 to $9.5 billion in 2010. He resigned in 2013, with his six-year tenure the shortest of any Ford Foundation president since the 1950s. Ubinas’s successor, Darren Walker, came to Ford as its tenth president in 2013 with a very clear vision of what he wanted the Ford Foundation to become. Walker’s resume includes time as a trader at UBS, a program office and president of the Abyssinian Development Corporation, which promotes development in Harlem; a program officer at the Rockefeller Foundation; and a Ford Foundation vice president. Walker’s first task was to reach out to the city of Detroit. In 2013, the foundation announced that it would donate $125 million over 15 years to bolster the city’s pension fund as the lead donor with other foundations, including the Kresge, Charles Stewart Mott, and Knight foundations. This money, matched by the state of Michigan, ultimately amounted to over $800 million. In return, the city agreed to turn over the Detroit Institute of Arts to a nonprofit and not sell any of the art. The foundation continued to fund some of its long-time donors. The foundation devoted tens of millions of dollars to organizations supporting President Barack Obama’s choice for Supreme Court, Judge Merrick Garland, after the death of Justice Antonin Scalia. These groups included the Leadership Conference on Civil and Human Rights (which had received over $11 million in Ford Foundation grants since 2000), Alliance for Justice (with over $4 million in Ford grants) and People for the American Way. As part of this refocus, the Ford Foundation announced in 2016 that it would lead a six-year effort to raise $100 million for the Movement for Black Lives, an organization designed to receive grants for groups involved in the Black Lives Matter movement. Allies of the Ford Foundation in this effort are the foundations associated with liberal billionaire George Soros, the NoVo Foundation, and the Hill-Snowden Foundation.